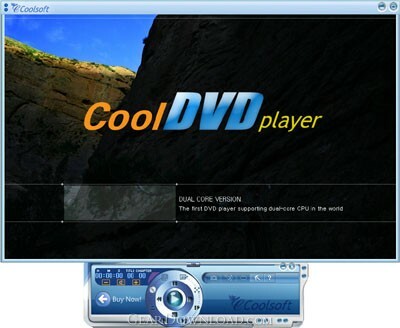 Cool DVD Player - A high definition media player which supports a wide variety of video formats. Cool DVD player is a high definition media player which supports a wide variety of video formats. It can put the super computation capability of dual-core CPU into full play and the latest dual-core decoding technology makes your PC the perfect HD video and audio playback platform. Meanwhile, Cool DVD Player is a complete compatible media player and it can support a wide variety of video formats including HDTV, DVD, VCD, MPEG1/2/4, AVI, RM, MOV, MP3 etc. Cool DVD Player can be extensively compatible with hardware, which is operated stably, smoothly under Windows 2000 \ XP system.